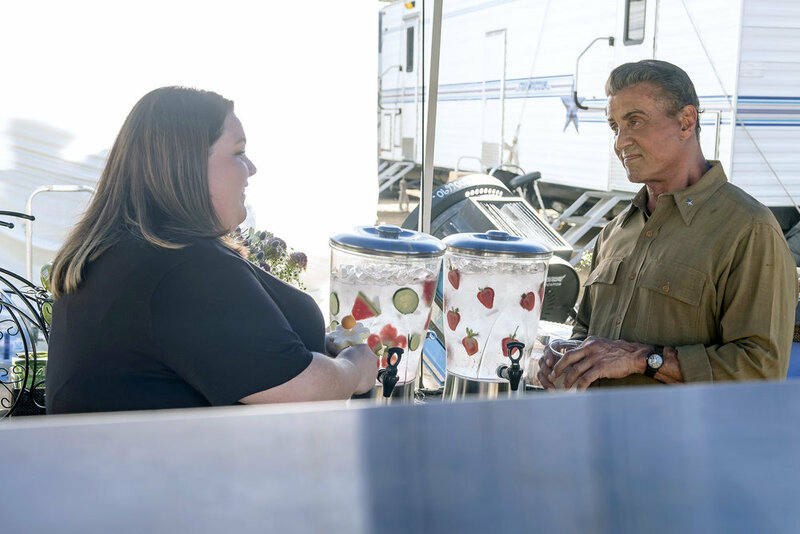 Because we all need a little extra inspiration right now, Sylvester Stallone stopped by "This Is Us" in Episode 3 and dropped some heartfelt bombs. 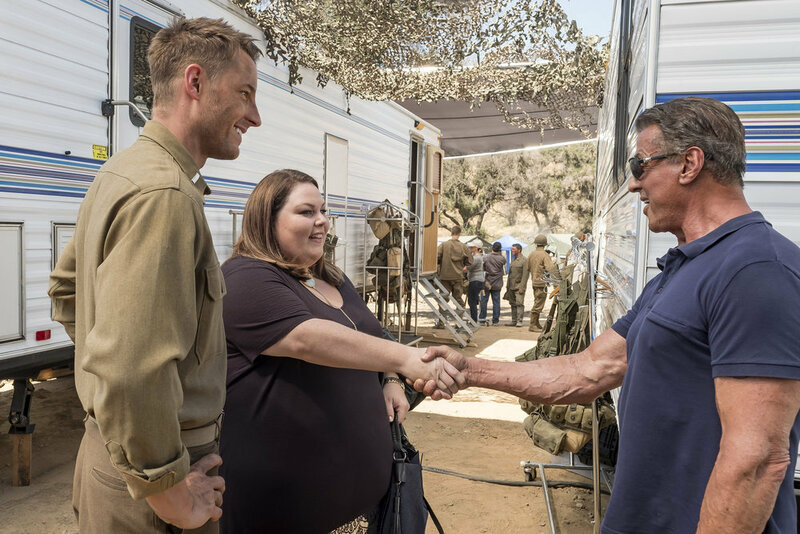 “People can be good” seems like an oddly basic concept to celebrate, but given current events, “This Is Us” delivered the message audiences needed most Tuesday night: People can be good, and sometimes those people are Sylvester Stallone. In Episode 3, “Déjà Vu,” the most inspirational action star of all-time guest-starred on TV’s most inspirational series and, well, things got emotional. Stallone was invited to join the series by his “Rocky Balboa” co-star Milo Ventimiglia, who played Rocky Jr. in the 2006 film, so it was doubly fitting to learn that Jack was a die-hard Stallone fan in the series. Clever work, Dan Fogelman. But how much of the good vibes came from Stallone’s presence and how much came from the writing? Did the presence of a three-time Oscar nominee distract from the series’ central storyline or enhance it? And most importantly, how did viewers feel after each one of Stallone’s scenes? Below, IndieWire has answered these questions, ranking the inspiration level of each scene using Stallone’s movies as a scale. (“Rocky” would be the most inspirational, while, say, “Get Carter” would be the least.) There are also a few fun bonus details and best lines thrown in, so take a break from the onslaught of sadness and get inspired all over again to face the days ahead. The Scene: Invited to set by her brother, Kate (Chrissy Metz) and Kevin (Justin Hartley) walk and talk about the big upcoming scene between the ex-Manny and a real, bonafide movie star. Just as Kevin does his best Stallone impression (which, props to Hartley, isn’t half-bad), the man himself pops up and introduces himself. Best Line: “She’s happy to meet you, too.” Kevin’s line, speaking for a stunned Kate, isn’t really all that special, but the smooth raise he gives her arm to shake Stallone’s outstretched hand is pretty solid physical comedy. Perhaps the best line is Sly speaking straight truth: “Sly is good.” Yes, he is. Yes. He. Is. Random Note: It’s official: Frittatas are the new Hollywood “thing.” Between Harrison Ford giving a shout-out to his iconic “Morning Glory” moment in a recent interview for “Blade Runner 2049” and now Stallone going to search craft services for a frittata here, the egg dish is officially the down-to-earth delicacy of aging action heroes. The Scene: As Stallone scours crafty for pure, un-fruited water — did he already find his frittata? — Kate walks up to thank the actor for bringing such joy to her dad. Sly, ever-perfect, accepts the compliment graciously and then offers to host her dad on set. Kate tells Stallone that her father died when she was a kid (but not how), and he offers his sympathy. Then they joke around about “Rocky,” which is great. Random Note: While “Sly” and “Stallone” are uttered by themselves often enough, his entire name, “Sylvester Stallone,” is said eight times during the episode. Eight. Times. In full!